Medvedev is holding talks with Netanyahu, Nov. 10. Russian Prime Minister Dmitry Medvedev is holding talks with Israeli Prime Minister Benjamin Netanyahu on Nov. 10. Russian Deputy Prime Minister, Sergei Prikhodko, earlier told reporters that "the two sides would discuss in detail the pressing bilateral issues, including strengthening trade, economic, investment, scientific, technical, innovation and humanitarian cooperation between the two countries." Medvedev said an interview with Israel’s Channel 2 TV network shortly before his visit that he looked forward to it with considerable interest. "Russia and Israel can achieve a lot together for various reasons," he noted. "I have in mind, of course, the origin and development of the State of Israel, common interests in the international arena and bilateral relations, primarily in the economic and humanitarian areas." According to the Russian prime minister, economic relations between the two countries could develop more vigorously. "Over the past few years, we have not stepped up our economic cooperation as much as one might expect," he said. 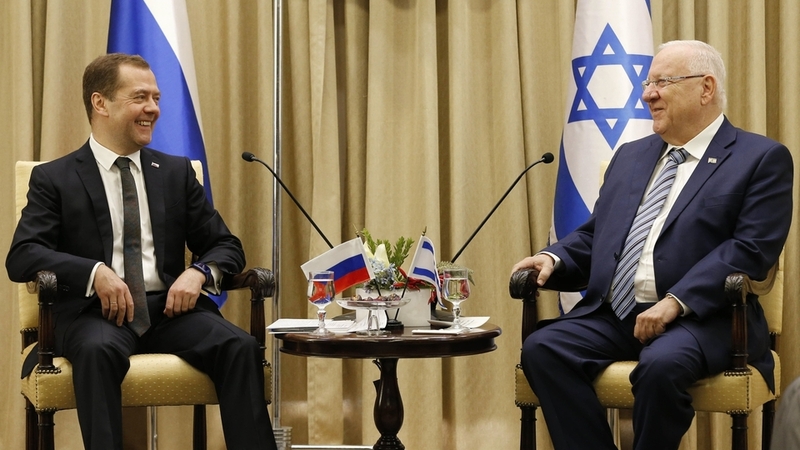 "Currently, the trade turnover between Russia and Israel is about $2 billion. It needs to be boosted." Medvedev added that his objective is to promote the growth of trade turnover between Russia and Israel. He mentioned pharmaceuticals, agriculture technologies and support for startups among the promising areas of bilateral cooperation. Read more: Could Netanyahu become a mediator between Russia and Turkey?